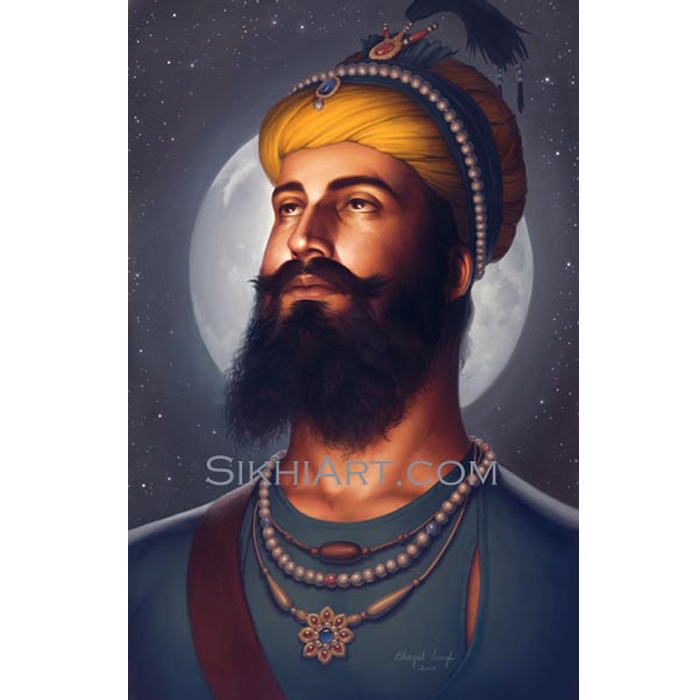 Who was Bhai Taru Singh ji? 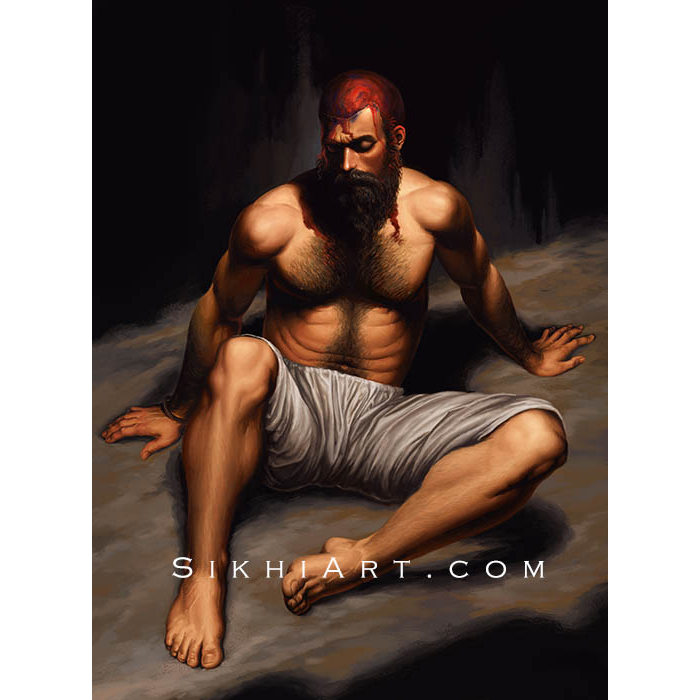 In his early 20s, Bhai Taru Singh ji chose to have his scalp removed rather than give up his religious traditions. 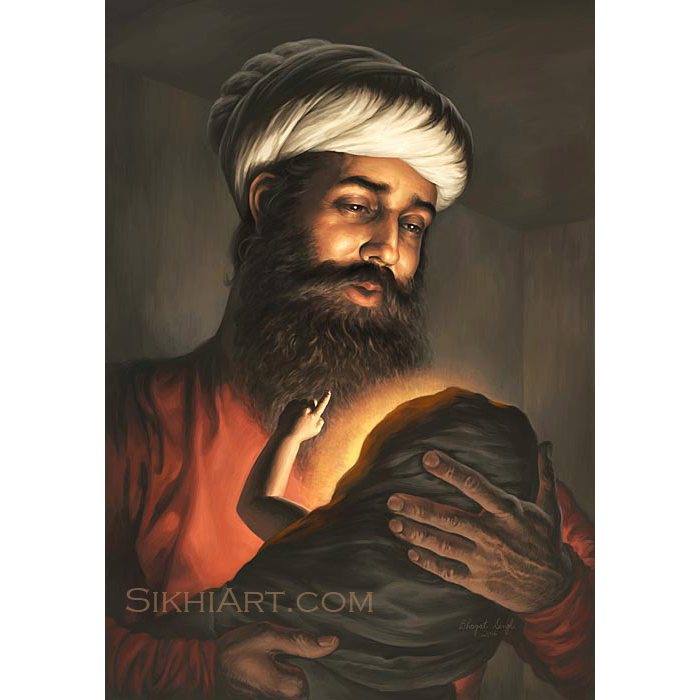 He was born 12 years after the passing of Guru Gobind Singh ji and was initiated in to the tradition of the Ten Gurus, through Bhai Mani Singh ji. In 1700s, Sikhs were being persecuted by Zakariya Khan, who ruled Punjab under the Mughal Empire. Bhai Taru Singh ji and his family would support and provide food for Sikh rebels who wished to take him down. 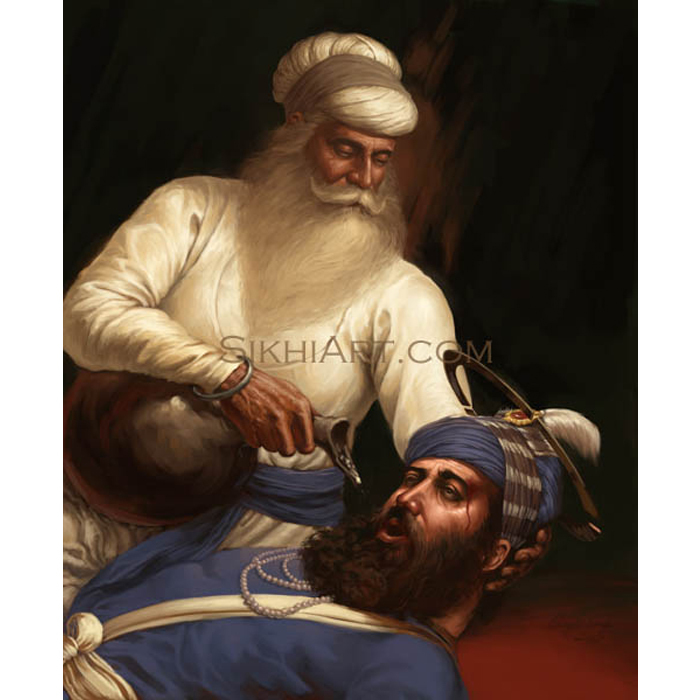 During this rebellion, Bhai Taru Singh ji was arrested by Zakriya Khan’s police and was tortured. 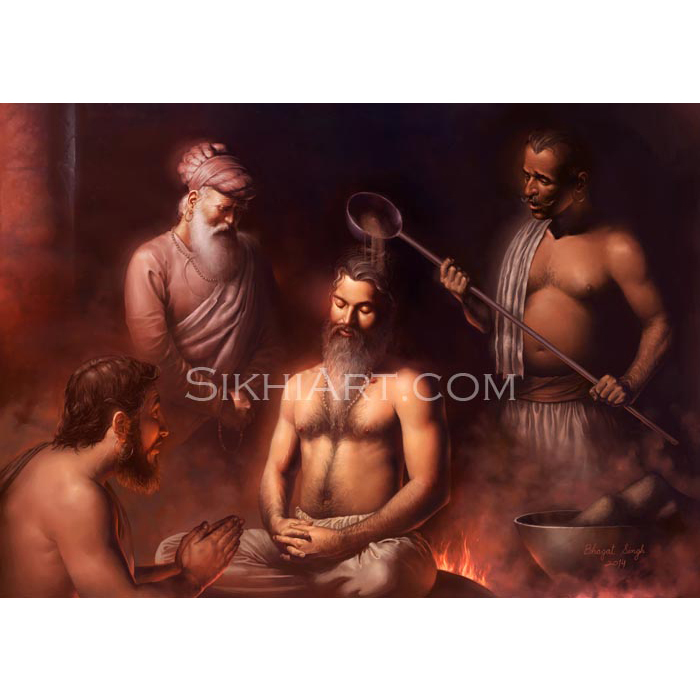 The executioner used a chisel to remove his scalp, however Bhai Taru Singh ji remained absorbed in meditation. 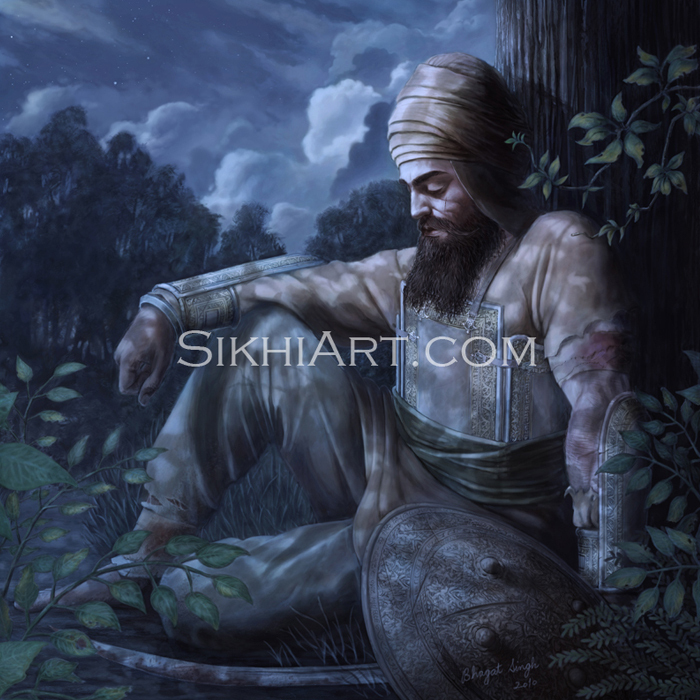 Bhai Taru Singh ji lived after his torture, and continued to meditate and sing the praises of the Lord. He left his body immediately after the death of Zakariya Khan. 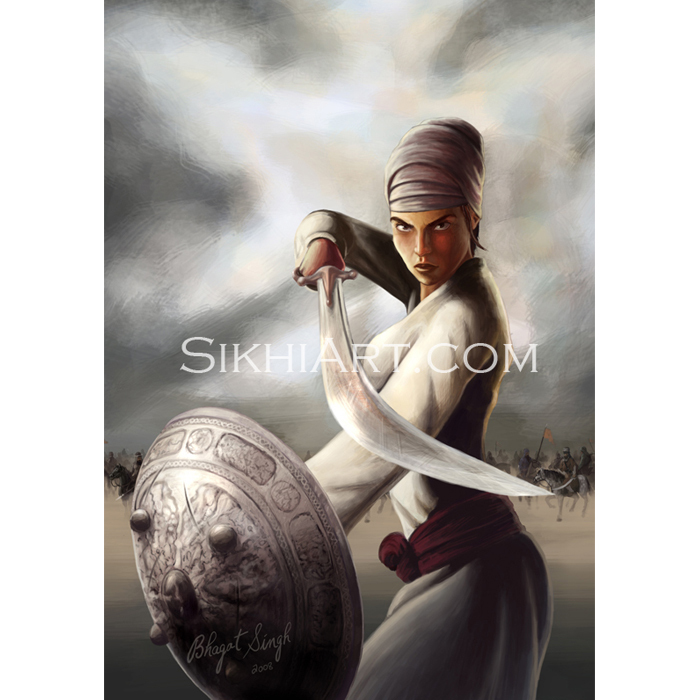 I worked on Baba Ajit Singh ji’s painting when I was his age when he sacrificed himself in the Battle of Chamkaur. 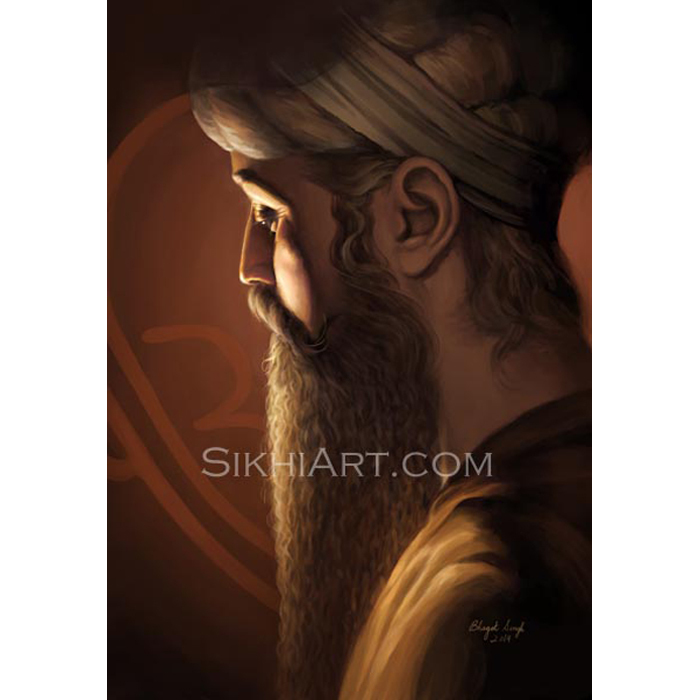 Then I did Bhai Taru Singh ji’s portrait when I was his age, when he sacrificed himself for the Sikh panth. It gives me new insights into the mindset of our warrior saints and into my own mind, to paint them at that same point in my life when they made their sacrifices. I think about what they did at my age and what I am doing. I think about where they were headed at my age and where I am heading. In this way I align my moral compass to the Truth North and follow it. A great man once said that we don’t get to choose whether we sacrifice or not, we only get to pick what we sacrifice. 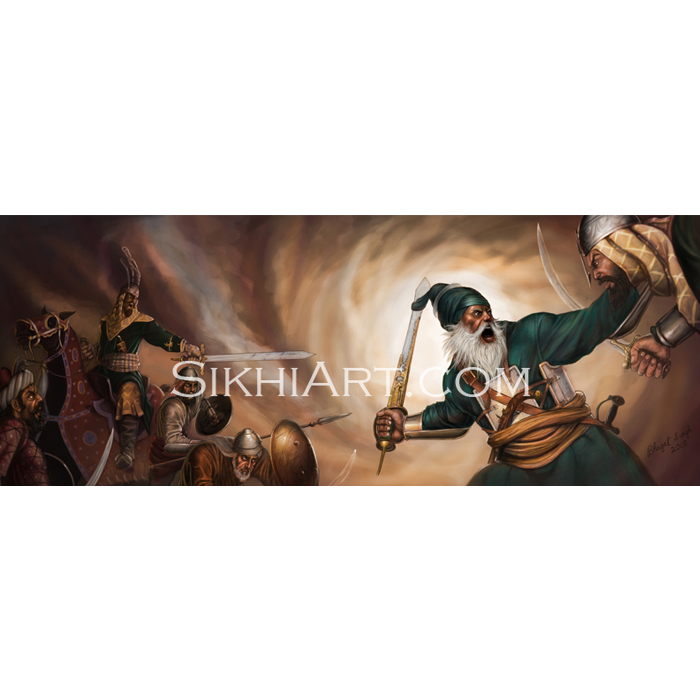 Sikh Saints followed in the footsteps of the Ten Gurus and sacrificed themselves to uphold Dharma. So to see our warrior saints side with their Duty, over their own lives, is very inspiring, and fills me up with a fearless spirit. 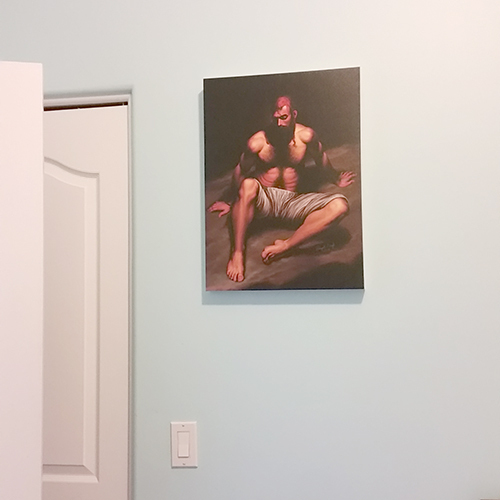 Veer ji the painting just arrived today and it looks absolutely amazing thank you for sending it out to me.